This is a page to discuss Onewest Bank Short Sales and short sale strategies and information with Onewest Formerly Indymac Bank. You need to be a member of IndyMac Onewest Short Sales to add comments! Nationstar = "Kiss of Death"
I have a short sale that began beautifuly, I had acknowledgment within 2 days and SSN and minimal additional documentation before it was sent to investor for approval. Since then I have been told to call back in 3-5 days every single time I call for a month. I also learned that homeowners received letter that loan was being transferred to Nationstar. So we do the work of interviewing the homeowners, taking the listing, obtaining disclosures, clearing liens that were paid or negotiating releases on seconds, market property and spend our time and resources on fielding calls and finding the highest and best offer, only to have our files transaferred once we submit them? That is what I am hearing about and experiencing myself and One West is not the only servicer doing this. Well, so far BofA, SLS, Wells Fargo and Beneficial has accepted them for loan information for a Short Sale, so it may not be an accurate payoff amount, but it has sufficed. The title report doesn't show lien balances, just the amount of the original lien so this won't suffice as a "payoff" quote for the lender. to Ellen Muzzio- for any bank requiring payoff amounts from other liens, that information can be found on the preliminary report generated from the title company. All lien balances are shown on the report. Are there any updated contact numbers for IndyMac/One West? Looking for the Escalation Dept or higher to stop a foreclosure. Any help will be appreciated! Is anyone aware of IndyMac or OWB offering sellers any kind of "cash back" or "relocation assistance" as part of their short sale approval? Need a suggestion from you all. I am on my 3rd Buyer for an Indymac Short Sale. The 2nd loan on the property is a HELOC that was never used and has a zero balance. When we received initial approval for the short sale for Buyer No.1, and again for Buyer No. 2, the IndyMac Short Sale Approval Letter referenced BOTH loans. The IndyMac approval letter for the 3rd Buyer reflected ONLY the 1st Loan and no reference was made to the 2nd loan. ServiceLink for Indymac tells us that they do not show a 2nd loan so they can't change their Approval Letter to add the 2nd loan information. However, in the Title Records, both loans show up and Title will not close without confirmation that the 2nd loan is closed. We had the Seller go down to a local branch to request a letter from IndyMac to confirm that the 2nd loan is CLOSED with a zero balance. This process, we are told, will take several weeks and Indymac will only mail the letter to the Seller after Seller receives a fax from Indymac for information to process the request. We are in limbo as of this writing and our close date is scheduled for February 10th. I have asked for an extension and hopefully will get an extension for at least another week. Does anyone have a phone number at Indymac that perhaps can help me with expediting a letter that the 2nd Loan is closed. Hope I explained the circumstances clearly....let me know if you have a suggestion. 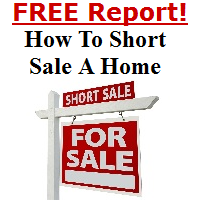 How long is Indymac taking on Short Sales these days? ?